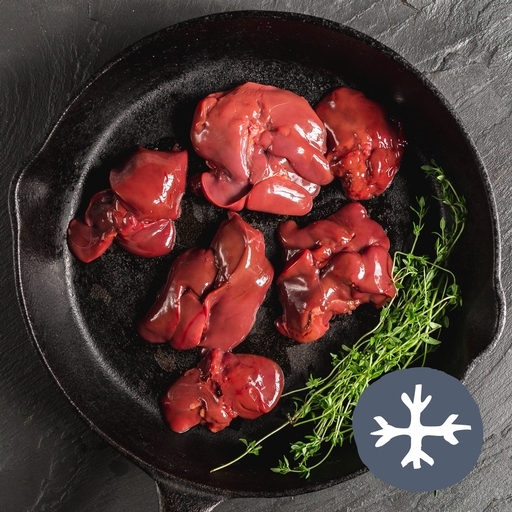 Organic chicken livers, full of rich flavour. Pan fry and serve with pasta or buttery mash and greens, add to Bolognese for extra richness, or make your own silky-smooth pâté or parfait. Serves 2-3. Trim away any excess sinew or fat. Season them well. Fry on a medium/high heat for about 3-4 mins each side, until nicely coloured and cooked through to the centre. Leave them to rest for a few mins. You can finish them in the pan with a dash of booze, lemon juice or vinegar and a knob of butter. They also partner well with slow-cooked onions and crispy bacon. Take care not to overcook them, as they can become tough. They are also perfect for making into a pâté or parfait.